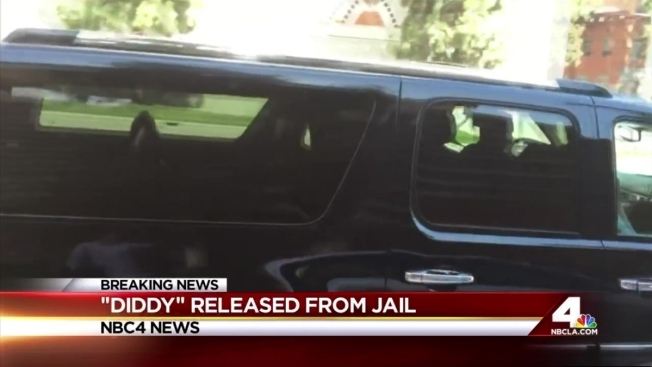 Hip-hop music mogul Diddy has been released on bail from a Los Angeles County jail after an alleged assault with a kettlebell at the University of California Los Angeles, where his son plays football. Diddy — whose real name is Sean Combs — was arrested Monday afternoon at the Acosta Athletic Training Complex at UCLA after allegedly assaulting someone affiliated with the football team with a weight-room kettlebell, according to school officials. No one was seriously injured. UCLA police did not identify a victim. UCLA police said charges faced by Combs, 45, include three counts of assault with a deadly weapon, one count of making terrorist threats and one count of battery, NBC News reported. The rap mogul's son, Justin Combs, is a defensive back with the UCLA Bruins, which was conducting workouts on campus, according to The Associated Press. He has played several games in three years with the team. Jail records show Combs was released after posting bail late Monday night. Combs' bail was $160,000, but sheriff's officials reached by phone said he posted $50,000. The reason for the discrepancy wasn't clear. Football coach Jim Mora issued a written statement, saying, "I’m thankful that our staff showed the level of professionalism that they did in handling this situation. This is an unfortunate incident for all parties involved. While UCPD continues to review this matter, we will let the legal process run its course and refrain from further comment at this time." Combs' publicist, Nathalie Moar, declined to comment "until all of the facts are sorted out." He is due in court July 13, according to jail records.